Monday, March 23 1908 -- Teddy Roosevelt's Great White Fleet, still moving up the U.S. west coast before steaming across the Pacific, is an obsession for Californians. Everyone awaits the passing, or better yet, the docking, of the fleet in their area, and L.A. is no exception. Herriman makes a now rare appearance on the Examiner's editorial page with a delightful cartoon on the subject. Wow, that is a great one! We close out Foster Follett week here with Tidy Teddy, one of Follett's earliest efforts, which ran March 8 1903 to April 3 1904 in the New York World. 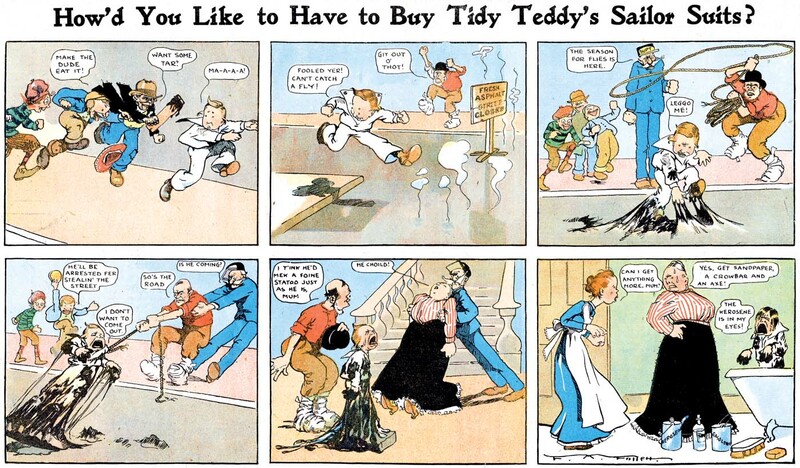 There's an interesting evolution in this strip, where Teddy seems to start out having a mania for being clean, but then later it seems to be more that his desire to keep clean is merely to avoid the strenuous bathings of his mama, and not a true mania at all. On a separate note, it is very hard to capture even a dim reflection of the incredible coloring of the New York World Sunday sections of the early 1900s, but a few of the samples here come pretty close. I hope you enjoy them. I have to tell you that seeing an early World color section in person is the sort of experience that got me irretrievably hooked on newspaper comics. The colorists and printers who were working for Pulitzer at that time were fine artists and craftsmen, and the coloring of the comics sections could make any artist, even an amateurish one, look like a master. The coloring has so much depth, such fine highlights and shadows, all executed with an incredibly limited palette that was exercised to the ultimate degree, that it is a terrible shame we don't know and thus can't celebrate the names of the production staff who produced such works. Another reason not to rely entirely on reprint books for your comics fix -- I have yet to see that glorious coloring reproduced in its full glory! One further note; the second example, where Teddy visits the St. Louis Post-Dispatch, presumably would have had the title customized for each paper which used the Funny Side section. Hope you enjoyed Foster Follett week on Stripper's Guide, and thanks again to Cole Johnson, who supplied all the samples for the whole week! Thanx for sharing, this is a great 'forgotten' artist whose work I shall revisit often. One strange little recurring item that has piqued my curiosity is "Character Close-ups." It appeared in my hometown paper, the Winnipeg Free Press, in the early 1930s. It featured physical traits that cartoonists could use to portray stereotypical behaviours. I haven't been able to find mention of it anywhere else, and was wondering if you've heard of it. I posted a few samples here. Character Close-Ups by George Spayth seems to have run from 1926-35. Spayth was an entrepreneur as well as a cartoonist, and moved into the business of weekly newspapers in the 1930s, apparently making a very nice living at it, and hence the end of Character Close-Ups. Although I have seen this feature on a few occasions, I wasn't really sure if it qualified as a cartoon panel feature. However, since someone is asking me about it, I guess maybe it must be. I'll add it to the Stripper's Guide database. Foster Follett takes out his aggressions on Philadelphians in this strip, Mr. Scrapple of Philadelphia -- He Sleeps. Philly folk get roasted for enjoying that deliciously lowbrow pork melange, scrapple, and more importantly, for residing in a city that hotsy-totsy New Yorkers like Follett laugh at as a sleepy backwater town. Follett's idea, I suppose, was that Mr. Scrapple had such an exciting somnambulant life to counter the utter and complete boredom of living in Philly during his waking hours. I suppose we can congratulate the City of Brotherly Love for having shaken off that old reputation for being boring -- the more modern nickname Murder City USA, earned for their impressive homicide rate, not to mention the also colorful Killadelphia and Filthadelphia, lend the city a much-needed aura of excitement. 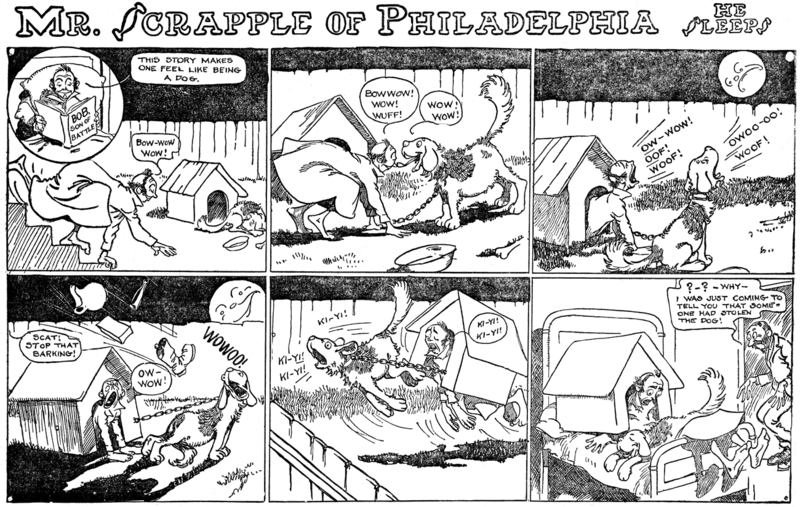 Mr. Scrapple was also known on occasion as Mr. Sleeper and his Surprises, presumably for those papers with possible circulation in eastern Pennsylvania.The series, which was a part of the McClure pre-print section, ran from May 15 1910 to April 30 1911. Although Follett's style is obvious on this feature, he never signed it (a common convention at McClure after about 1903). * The reference to Lydia Pinkham in the top strip refers to the creator of a woman's tonic, mostly alcohol, that was supposed to relieve menstrual pains, not to mention almost every other female complaint under the sun. * The term 'drummer' in the middle strip refers to a traveling salesman. 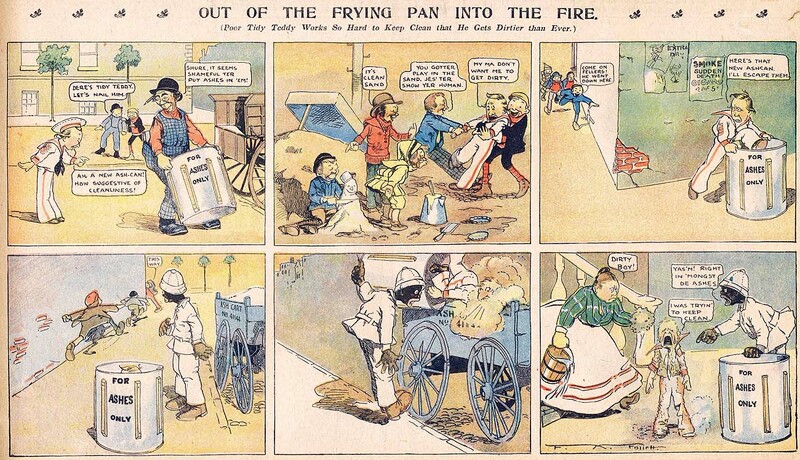 * "Bob, Son of Battle", seen in the bottom strip, was a popular children's novel about sheepdogs, published in 1898. Thanks to Philadelphian Cole Johnson for the scans, and for being a good sport! 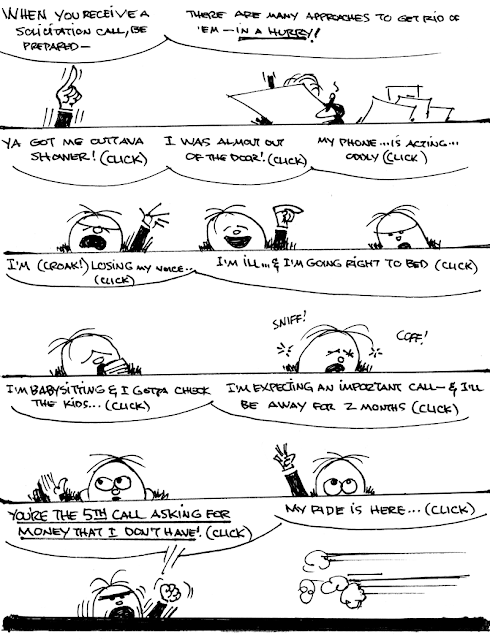 Did this strip, or the McClure pre-print section publish in a Philadelphia newspaper? Hello, GRIZEDO----The Philadelphia Press ran the McClure section before they had their own syndicate up and running, 1901-1905. 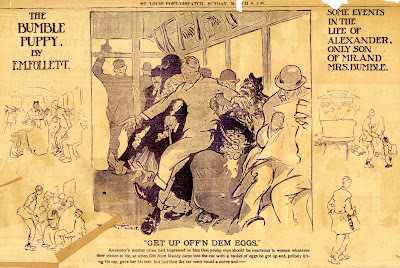 The Press came back to McClure for a couple of years after their syndicate went kaput in 1915, but soon drifted into a blend of McClure, King features, and Chicago Tribune strips. In it's last couple of years (1919-20), the Press had the only three-page section I ever heard of. 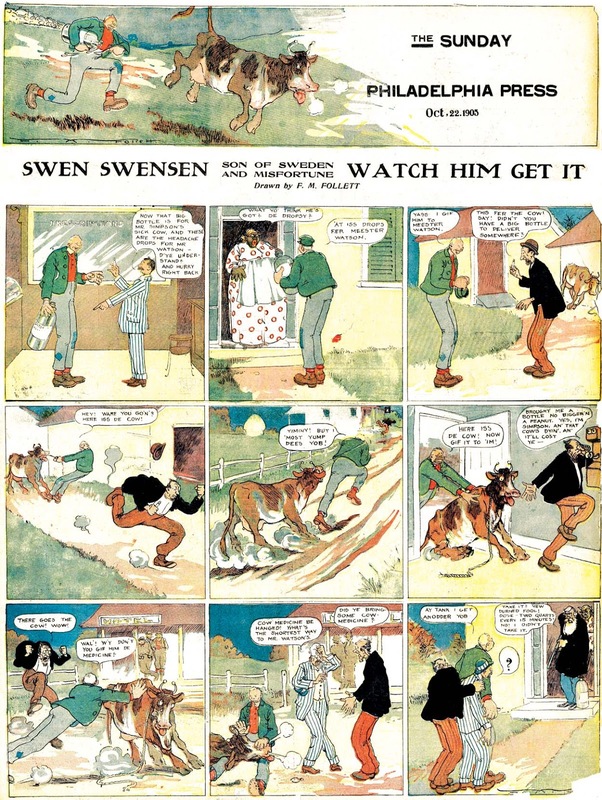 In Swen Swensen, Son of Sweden and Misfortune, Foster Follett takes aim at a nationality that was less often stereotyped in the racially diverse (but not in a good way) Sunday comics sections of the 1900s. When Swedes were caricatured, they typically came in two categories -- the mousy, soft-spoken doormat, and the strong but weak-minded giant. 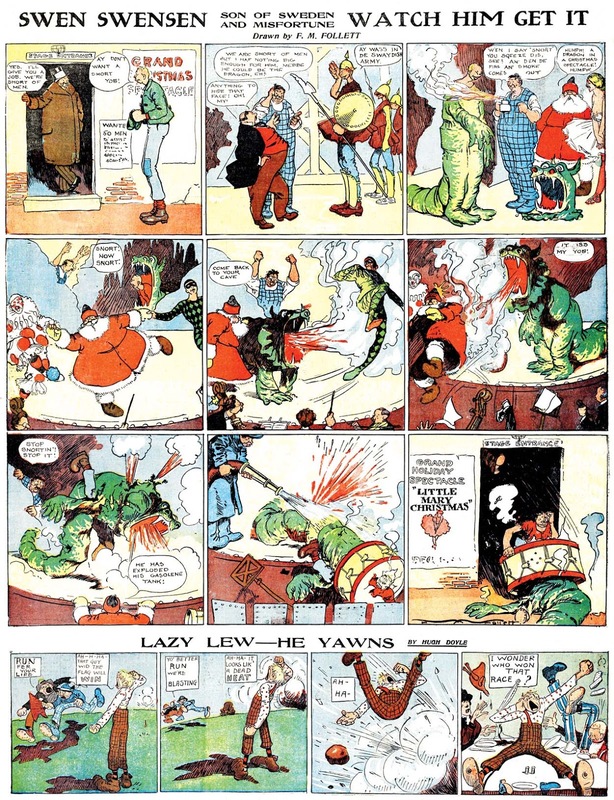 Follett chose the latter for this strip, and placed his lummox in the position of obtaining a job only to make a mess of things and lose it. 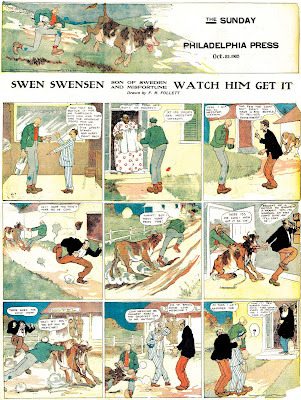 Swen Swensen ran in the Sunday comics section of the Philadelphia Press from October 15 1905 to January 28 1906. In our second example above, there is also a bonus episode of Hugh Doyle's Lazy Lew - He Yawns, which we covered as an Obscurity of the Day back in 2009. Just a note on stereotypes: Wallace Beery started out playing a silly Swedish maid (!) in silent comedies. And yes, Wallace Beery in a dress looks exactly like Wallace Beery in a dress. As we continue with Foster Follett week, here's a feature of his which is notable for its graphic device. Here Follett used a panel cartoon as a centerpiece showing the climax of the action, and then added vignettes around it that form the whole into a comic strip, that is, a running visual narrative of the whole story. As simple as this conceit is, I can't think of any other example of a strip being constructed in this manner, at least on a consistent basis. 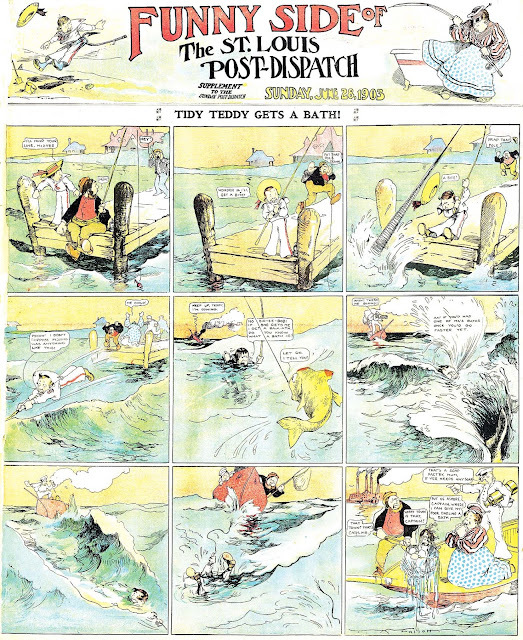 The closest I can think of are the newspaper Sunday magazine comic strips, which broke the action down into a series of vignettes, but those each stand alone, there is no real visual narrative flow between 'panels' as there is here in Follett's The Bumble Puppy. The subject of the strip isn't itself unusual; the tale of yet another fellow who can't seem to ever catch a break. The title, however, is another point of interest. The word 'bumblepuppy' was apparently first coined near the beginning of the 19th century. It referred either to a game played with rackets and a tethered ball, or a sort of primitve pinball-type game, depending on the dictionary you reference. Later on, it was used to refer to someone who plays card games without any particular sense of strategy. It is in that sense in which Follett probably heard it. And then, apparently mulling over the interesting word, he decided it would make a great title about a young man who can't seem to quite get along in the world -- a "bumble puppy". 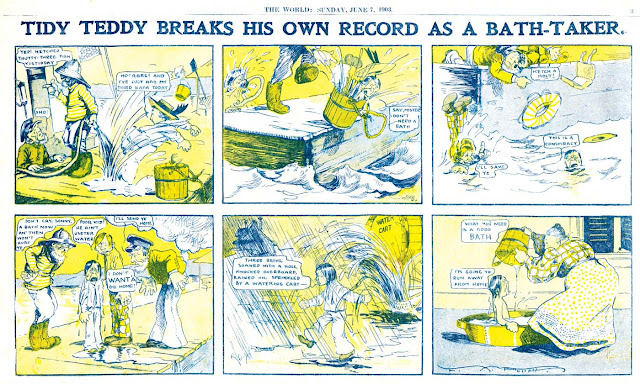 The Bumble Puppy ran in the New York World's comic section from December 29 1907 to March 8 1908, too short a visit if you ask me. Foster Morse Follett was born in Sandusky, Ohio on April 11, 1870, according to his 1897 passport application at Ancestry.com. He was two months old in the 1870 U.S. Federal Census and the only child of Foster and Portia. His father was an accountant. Stature: 5 feet, 8 1/2 inches, Eng. Flint, Mich., Sept. 29.—Mrs. Portia Gardner, wife of J. Henry Gardner, the Flint bandmaster, who was awarded first prize for his state band at the exposition in Philadelphia in 1876, died yesterday, at the age of 63 years. She was a talented musician, and at the age of 17 had charge of the music in the public schools of Cleveland. She was a sister of Mayor A.L. Bartholomew, of Preston, Ia. 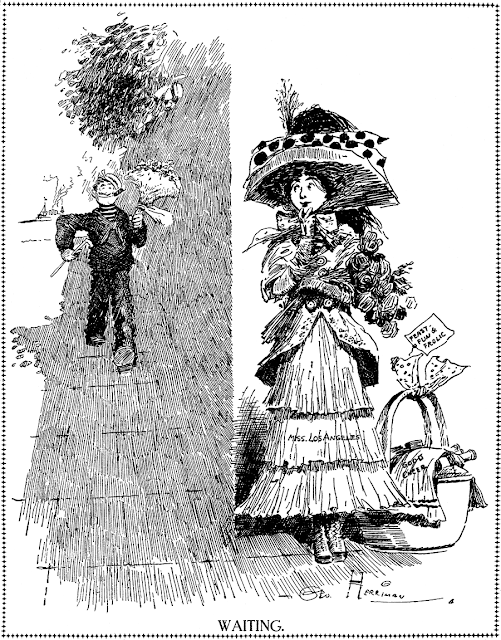 Her son, Foster M. Follett, is a cartoonist on the New York World. 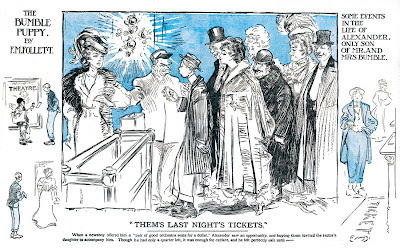 He contributed drawings to the magazine Outing, August 1903. 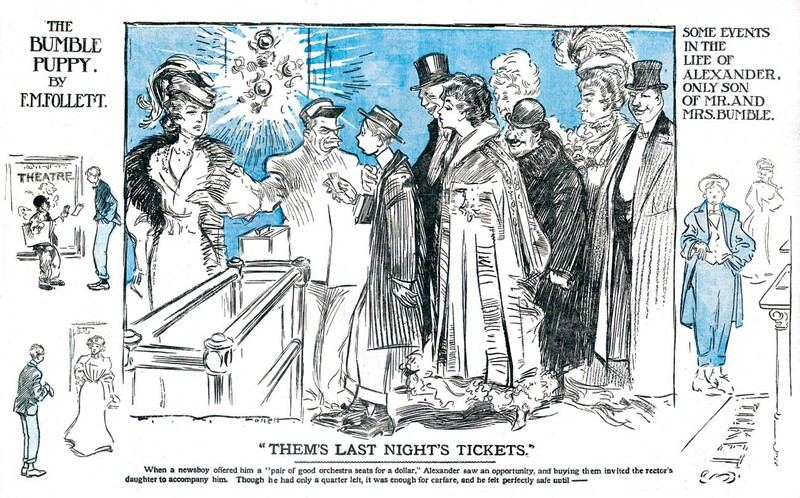 During the 1900s he contributed to Sunday comics sections of the New York World, the McClure preprint section, and the Philadelphia Press. 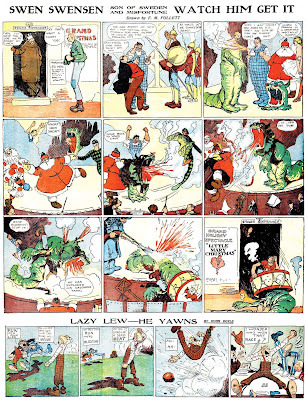 One of his many comic features, Granny Goodthing began in November 1909. Montclair, N.J., Feb. 20.—Foster M. Follett, artist and cartoonist, died in a hospital in Richmond, Va., yesterday, according to word received here today. Mr. Follett was in an automobile accident in South Hill, near Richmond, last Monday while on his way to Florida on a vacation, and died of a heart attack. His wife, Mrs. Nettie Bell Follett, who was injured in the accident, is still in the Richmond Hospital. Mr. Follett, born in Ohio sixty-five years ago, came to Montclair thirty years ago. He had been an artist for more than forty years, having done commercial work for many national publications and cartoons for The Saturday Evening Post and The New York World. It's nice to see my grandfathers work still being appreciated. Leave it to Jim, the last of the Southern gentlemen, to feel the need for excuses to get off the phone with a solicitor. Me, I find them a great opportunity to exercise my creative profanity muscle. Years ago, when I lived in a ramshackle apartment building in Tallahassee, I had a senior citizen for a neighbor. He looked like Popeye -- grizzled, squint-eyed, and faintly pugilistic. I recall that he told me his favorite old comic was "Happy Hooligan." Anyway, he told me his method of avoiding solicitors was to say, "I'm Jewish -- leave me alone!" The idea was to make the solicitor think he mistook them for a religious zealot seeking conversions. He said it usually caught them off guard so much they clammed up and scooted away. I always enjoy Jim Ivey's comics on this blog!